Welcome to PDF Electric & Supply Company repair department. Our 33 years of automation expertise allows us to provide a process for identifying PLC problems as well as test procedures, which will help you recover from a factory-down situation. In this guide we are going to show you some of our techniques to identify PLC board failures so that you may fix them yourself. Step 1 – Identify Your Module Type. Discrete Modules, 24 volts AC or DC up to 230 volts AC. 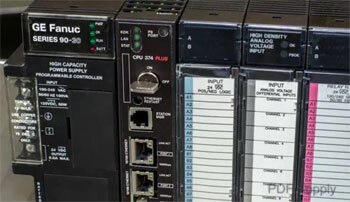 The primary failure we see in PLC intelligent modules is a memory fault. The processor experiences a spike or glitch that hangs the processor memory. 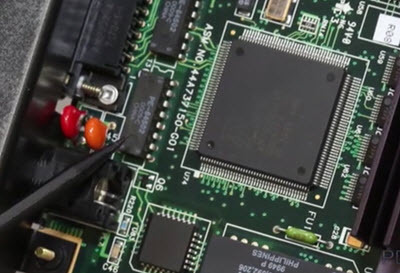 In many cases, simply removing the battery and shorting the two battery pins on the module will discharge the on-board capacitor and totally erase any RAM-based logic. This may clear the memory problem. ** Please Note ** You are erasing your program and you will have to reload it, so make sure you have a current backup copy. The manufacturers are so aware of this issue that many have discreetly installed small contact points hidden on the boards for their own field service engineers. This technique should save you an unneeded, expensive repair fee, as well as get your process machine back up in minutes. Other common failures in intelligent modules are focused around serial and Ethernet communication ports. Communication wires may create antennas and can destroy communication driver-integrated circuits. If there is a secondary communication port unused, simply move your communication cable to a working port and reconfigure your device. 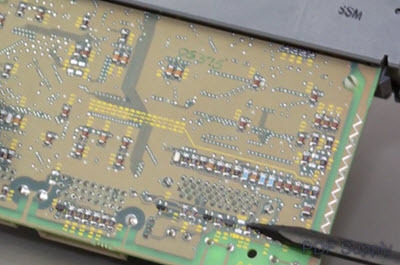 With analog modules, we consistently receive these modules in for repair and find out nothing wrong with them, only to learn that a ground error had occurred in the factory that made the analog card suspect. Ground loops, noise from a newly-installed AC drive, or a simple loose shield wire will create an erratic signal which gets misdiagnosed as a bad module. 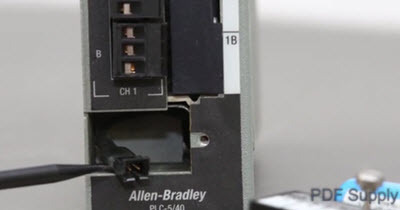 Move your analog signal wire to another PLC input point, you can see if it follows the wire, not the PLC point. This will allow you to determine if it is a field wiring problem or a PLC part problem. The most common module sent in for repairs are discrete modules from 24 volts to 230 volts. Luckily, these are also the easiest to repair and cost the least. 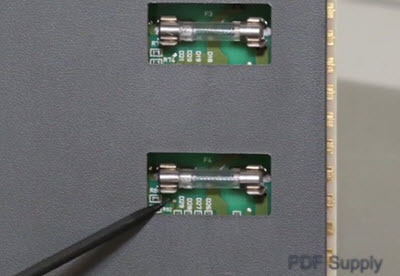 Fuses are the key to field repairing a digital I/O PLC card. 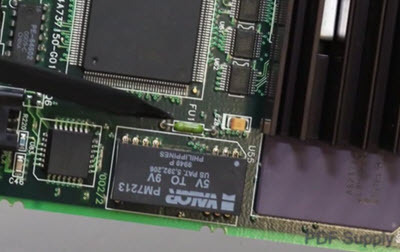 In most cases, when a fuse blows in a digital PLC card it disables more than one output. If you see a group of 4, 8 or 16 points fail all at once, simply remove your module and test the internal fuses with an inexpensive Ohm meter. Fuses are no more than a couple dollars and can be found at any local electronics store. There are two basic types of fuses: the traditional glass fuse and the ceramic PICO fuse. Both can be replaced with an inexpensive soldering iron. 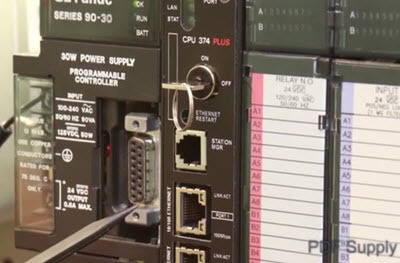 We hope that our troubleshooting guide has helped you track down the problem in your PLC system. 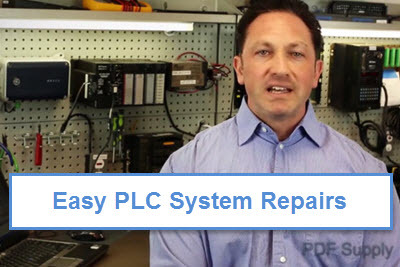 If these techniques have not resolved your PLC problem, then PDF Electric & Supply is here to provide quality repairs. Our standard three-year warranty ensures years of reliable performance. If our quick turnaround is still not fast enough, we will ship you a replacement unit out today and issue core credit for most failed parts. PDF Supply: quality repairs, same-day shipments at a competitive price. Please contact us at 1-800-360-6802.